All over the world, massive amounts of investment are being poured into developing rail transport. Experts estimate that the market is worth €162 billion every year. While the trend in Asia is towards the expansion of the long-distance rail network, for example, it is mainly local transport that is experiencing disproportionate growth in Western Europe. 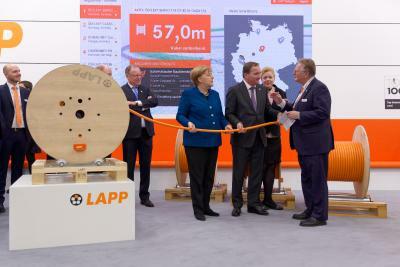 This fact is also of interest for Stuttgart-based cable specialist Lapp: "Rail transport is experiencing huge growth as a market. We want to be involved in it," says Georg Stawowy, Member of the board of Lapp Holding AG, responsible for Technology and Innovation. Lapp places particular emphasis on rolling stock here, i.e. locomotives, power cars, freight cars or passenger coaches. "Safety and reliability are absolute top priorities for all components in rail vehicles – this is also true for their cables, of course. And the demand for connection solutions is high: brake systems, driver's desks, traction converters, couplings and train control systems all need to be wired, as do control cabinets, drive systems and fans. 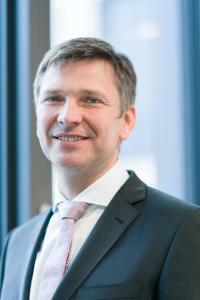 The market potential for connection solutions in the rail vehicle sector is in the region of €500 million per year," adds Stawowy. Yet the barriers for entering the market are daunting. All products that are being used need to meet the very highest safety requirements. Fire protection is especially important in passenger transport. That's why particularly stringent international specifications are in force in the rail industry, although these are translated into different standards for the corresponding global regions. All suppliers and all products around the world also need to fulfil the requirements of IRIS (International Railway Industry Standard). The OEMs themselves are the second hurdle to overcome. They will only add a solution provider as a listed supplier once they have also tested their products themselves. In order to position itself as a new supplier of connection technology for rail rolling stock, Lapp has developed a specialist product portfolio – including special ÖLFLEX® TRAIN cables, UNITRONIC® and ETHERLINE® data cables, SKINTOP® cable glands, EPIC® connectors and other system products – which was unveiled in autumn 2016 at InnoTrans in Berlin, the leading international trade fair for transport technology. All TRAIN products supplied by Lapp are IRIS certified. Electron beam cross-linking makes the cables for rail applications very robust. This involves changing the molecular structure of the plastics used by means of electron beams. The cross-linking also ensures that the cable can withstand the mechanical loads on a train – abrasion, vibration, tension loads during coupling and uncoupling – in addition to high and low temperatures. 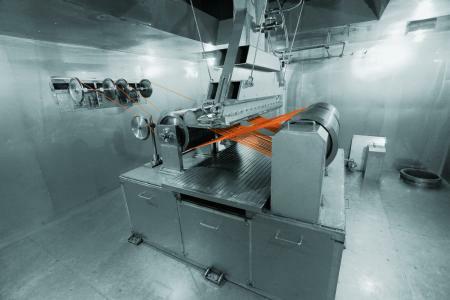 To this end, Lapp has built its own electron beam cross-linking facility at its location in South Korea, where ÖLFLEX® SOLAR cables or cables for high-temperature applications are finished, among others. Lapp tests its cables at three different locations in order to achieve the requisite certification ratings: in the technology test centre in Stuttgart, the fire test centre at the French facility in Forbach, and at Lapp Korea. Lapp exclusively uses special, halogen-free materials for its railway cables which are subjected to extensive toxicity and smoke density tests. Lapp has already experienced great success with its railway cables in South Korea. To quote just one example, Lapp supplied around 100 kilometres of ÖLFLEX® TRAIN cable to rail manufacturer Hyundai-Rotem – the eighth largest manufacturer of new rail vehicles – for a high-speed train. The Korea Train eXpress (KTX) connects Suseo station to the east of the capital Seoul with Mokpo in the south west and Pusan in the south east. On this route, the trains reach speeds of up to 300 km/h. 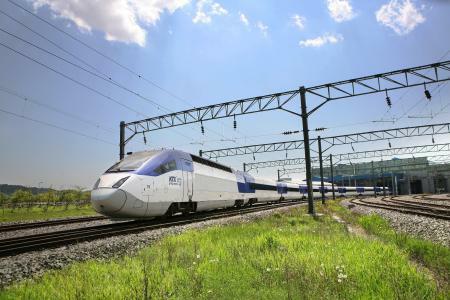 Soon, an additional KTX high-speed train service is intended to connect the cities of Seoul and Gangneung. This will reduce the journey time from 4 hours 35 minutes to just 1 hour 52 minutes. Lapp supplies special railway cables for these trains as well. What's more, this new line will open up a connection to PyeongChang, where the 2018 Winter Olympics are due to take place. Lapp surpasses other suppliers in terms of service: its customers are even able to order small volumes starting from just 100 metres, while larger volumes can be cut to length as needed. For other suppliers, the smallest packaging sizes may be 1,000 m or more depending on the types of cable. The customer saves on unnecessary storage costs with tailored cable lengths. Lapp sets new standards for the industry in terms of delivery times as well. 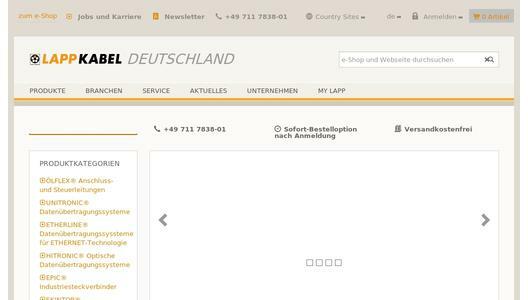 While users were previously often resigned to delivery times of up to four months, Lapp guarantees delivery within 24 hours for many of its standard products. Delivery times which are otherwise typical for the market can also even be beaten by up to several weeks for custom-manufactured products which are not in stock at the warehouse. 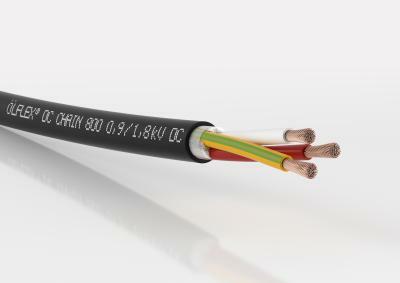 Headquartered in Stuttgart, Germany, the Lapp Group is a leading supplier of integrated solutions and branded products in the field of cable and connection technology. The Group's portfolio includes standard and highly flexible cables, industrial connectors and screw technology, customized system solutions, automation technology and robotics solutions for the intelligent factory of the future, as well as technical accessories. The Lapp Group's core market is in the industrial machinery and plant engineering sector. Other key markets are in the food industry as well as the energy and the mobility sector. The Lapp Group has remained in continuous family ownership since it was founded in 1959. In the 2014/15 business year, it generated consolidated revenue of 886 million euros. Lapp currently employs approximately 3,300 people across the world, has 17 production sites and over 40 sales companies. It also works in cooperation with around 100 foreign representatives.